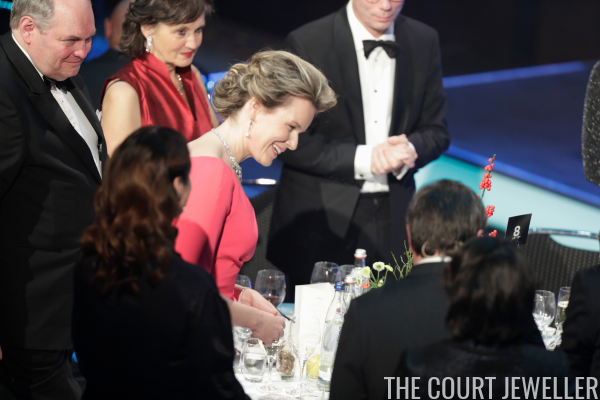 Queen Mathilde of the Belgians was in Duesseldorf on Friday for the German Sustainability Awards, where she was recognized with a prize. Even better -- she brought some major recycled diamonds and pearls along with her! 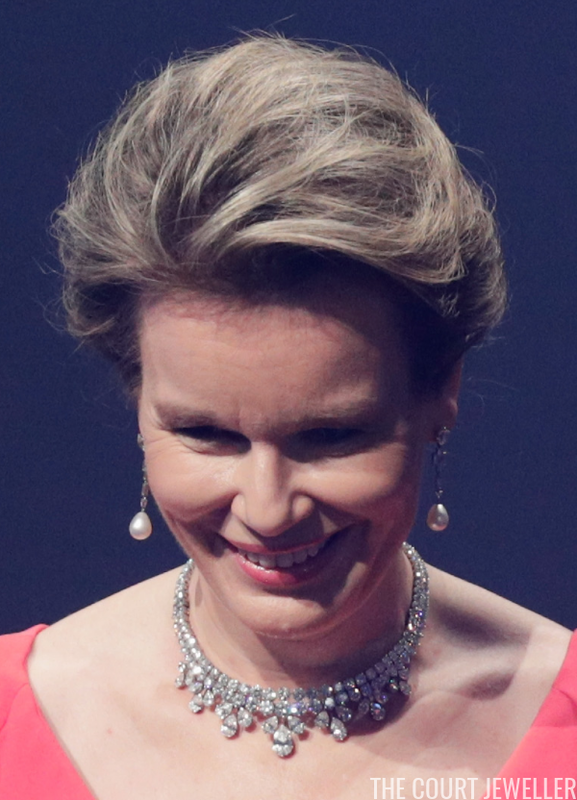 For the first time, Mathilde wore the Wolfers Tiara in its necklace setting. The diamond necklace/tiara belonged to the late Queen Fabiola; you can read more about it over here. 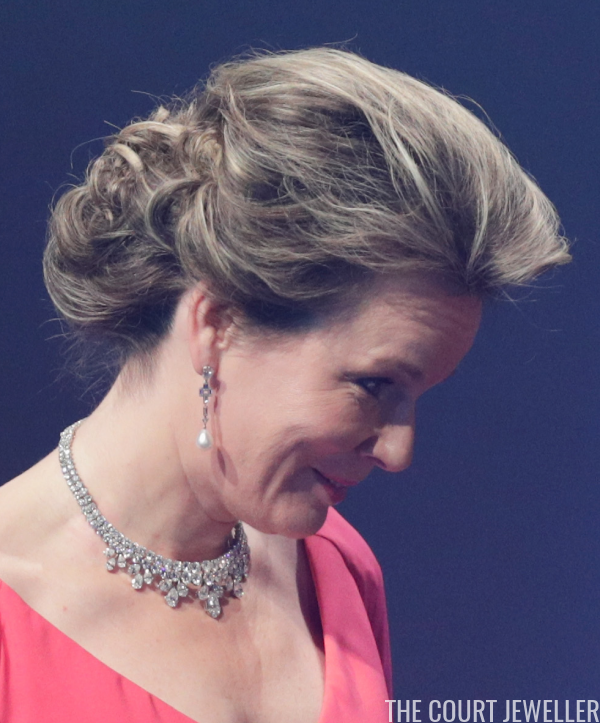 Mathilde paired the necklace with more jewelry from Fabiola's collection: her diamond and pearl drop earrings. She also wore a diamond bracelet on her left wrist. Here's a look at Mathilde's entire ensemble for the evening. 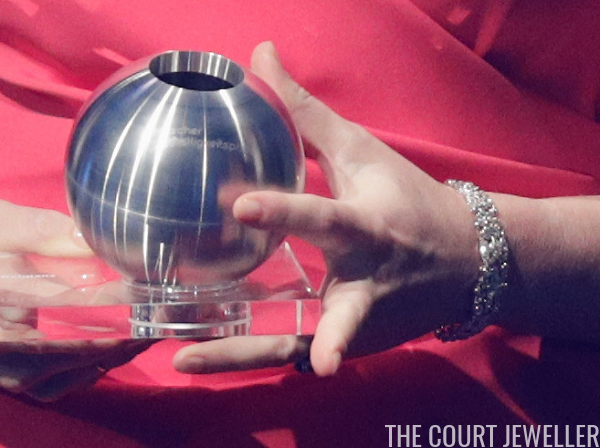 I love getting to see Queen Fabiola's jewels continuing to glitter on a new generation!